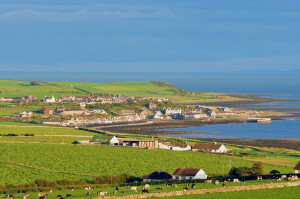 Kings Green Caravan Park – Port William, Galloway. Kings Green has a long and colourful history of use, dating back to 1949. There have been many events, campsites, circus and festivals over the years. It has been looked after by the Port William Community Association (SCIO) on behalf of the village for that entire period. The site is open from the 1st of April for touring caravans, motorhomes, camper vans and tents, there are no static caravans on site. 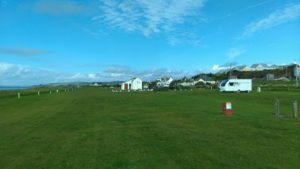 We are a well drained, all grass campsite situated right on the shores of Luce Bay with spectacular views to the West across to the Mull & Rhins of Galloway. On a clear day the Mountains of Mourne in Ireland are also visible and to the South lies the Isle of Man. We have 32 pitches – 23 with electric hook up and 9 without. We welcome all touring caravans, motorhomes and tents. We are a dog friendly site and do not charge extra for your dogs/pets. 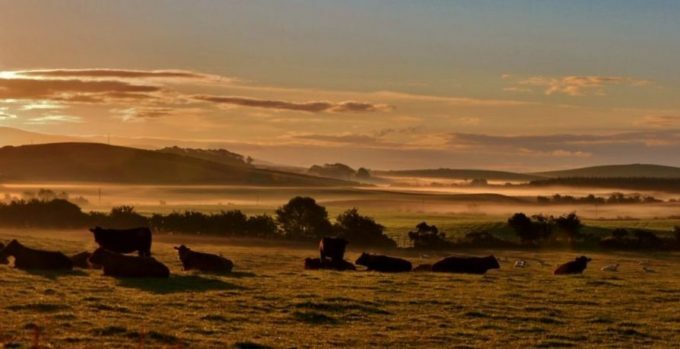 Countryfile vote Dumfries and Galloway Holiday Destination of the year.